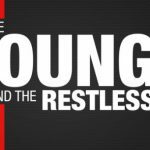 The Young and the Restless spoilers indicate that Cane Ashby (Daniel Goddard) and Lily Winters (Christel Khalil) will reunite as the family deals with a tragedy. Upcoming spoilers have The Winters, along with the rest of Genoa City, coming together as they mourn the loss of Neil Winters (Kristoff St. John). Neil’s death will have everyone thinking about their lives and it may lead to a reunion for Cane and Lily. The couple has had their share of heartache in recent years. Lily’s sentencing for her role in the death of Hilary Curtis (Mishel Morgan) and her baby had Mrs. Ashby spending a year in prison. While her prison term doesn’t seem that harsh, it’s been stressful for Cane. He’s had to juggle his career while taking care of twins Charlie (Noah Alexander Gerry) and Mattie (Lexie Stevenson). Add to that Lily transferred to a different prison, hours away from Genoa City, it made visitation difficult for her family. Cane found himself lonely and shared a kiss with Victoria Newman (Amelia Heinle). When her ex-husband Billy Abbott (Jason Thompson) discovered their secret, he told Lily. A furious Lily lashed out at Cane and decided to file for divorce. But Cane isn’t ready to give up on his marriage, despite Lily’s pleas. Yet, with Neil’s funeral coming up, Lily is going to need support, and that’s where Cane comes in. It’s going to be difficult for Lily to mourn her father while in prison, and she’ll need her family more than ever. Cane is going to make sure the kids see Lily because they’ll need to lean on each other during their difficult time. Cane’s support following Neil’s death could have Lily rethinking her decision to file for divorce. She’ll realize how much she loves him and that he deserves a second chance. The couple has been through a lot of obstacles over the years and they came out stronger than ever. Will viewers see another Cane and Lily reunion?